Pinging tools help your website to get cached faster as it helps to inform the search engines about the newly updates content in your site or blog. There are several onling ping tools which you may use to shout about your website updation. Pingler - Lets you ping your url for free to a variety of pinging services. Pingomatic - Useful tool to update search engines that your blog has been updates. PingMyLink - Offers free website submission and pinging service. PingFarm - Lets you upload a file consisting of one url per line and notifies the search engines that your blog has been updated. FeedShark - Lets you ping blogs, RSS feeds and Podcasts. Pingates - Allows you to ping your blog to 40+ search engines. 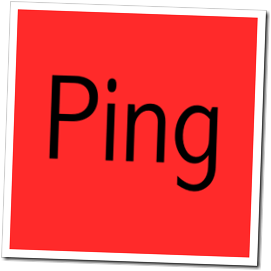 Just-Ping - Another useful pinging service. GooglePing - Lets you ping your blog and RSS to a variety of blog and feed services. BulkPing - Free mass pinging tool. Nice Post! I Use some of these services. I Also use findthiss.com.